I have been passionate about wildlife conservation and ecology for more than 30 years. Instead of following the usual career path of a biological sciences degree, I studied business and economics, and I now apply what I learned to conservation issues. I started researching the economics of rhino conservation in 1989. 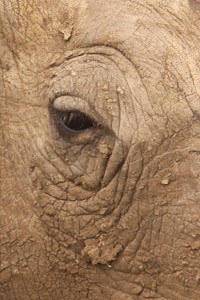 I would like to share with you what I have learned since then, because I believe the rhino’s future depends on us all being properly informed and understanding the real underlying issues. Please approach this site with an open heart and an open mind!